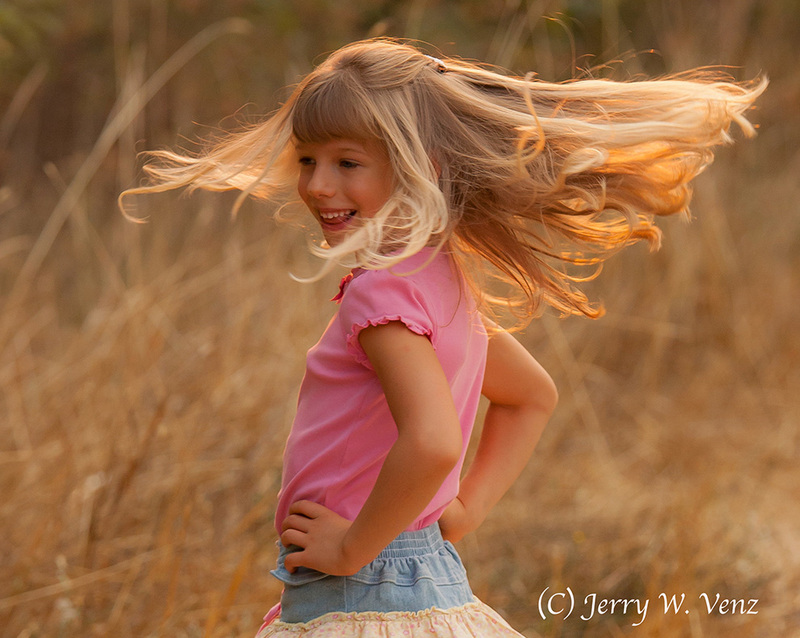 The Goboist: OUTDOOR PORTRAITS & CHILDREN HAVING FUN! Children’s portraits has been the earliest mainstay of our business since we started 25-years ago. Prior to that it started with the births of our boys in the early eighties—I did not photograph children before that…I was an Artist—only doing “fine-art”! How our priorities do change! I quickly discovered how much more challenging children’s photography was than any of the fine-art or commercial work I had done. Where I have complete control of all the variables in a commercial product shoot and control of most aspects in a landscape, in a child’s portrait session it can feel like I sometimes have no control of my subject! And, to make it worse, the parents are often a major hindrance in getting the child’s cooperation. We’ve been doing Hailey’s portraits since we opened our Idaho studio in 2010 and it’s been marvelous watching her grow-up. She’s one of those kids that are completely open and relaxed in front of my camera. She takes direction and enjoys our portrait sessions. She became one of our models, posing in our studio sets, for our holiday promotions. In this outdoor session with Hailey we did our usual routine of doing the posed-looking at the camera—portraits (what most parents always want) first. Our rule: Do the Hard Stuff First! Then we can play. 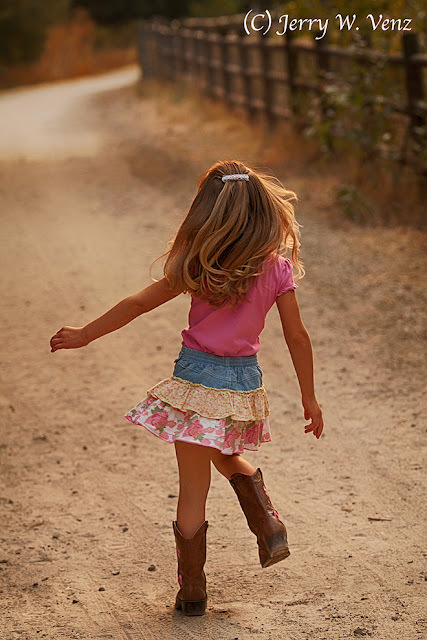 Hailey’s mom had said that Hailey had been in ballet and dance classes and liked to show-off so, as we walked the trail out of the park, mom dared her to attempt some ballet moves even though she was wearing her cowgirl boots! Happy with the action images I got I told Hailey we were done, so we all started walking back to our cars. 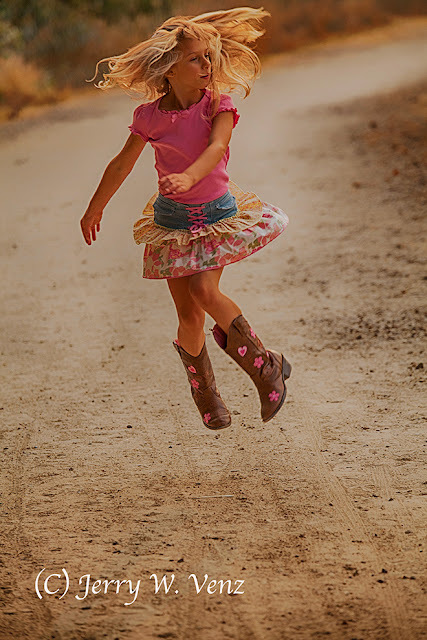 As we chatted with her mom—I’m watching Hailey as she skips ahead doing this little dance and got one of my favorite images! Just your basic Idaho cowgirl enjoying childhood. None of us want her to grow-up too fast!